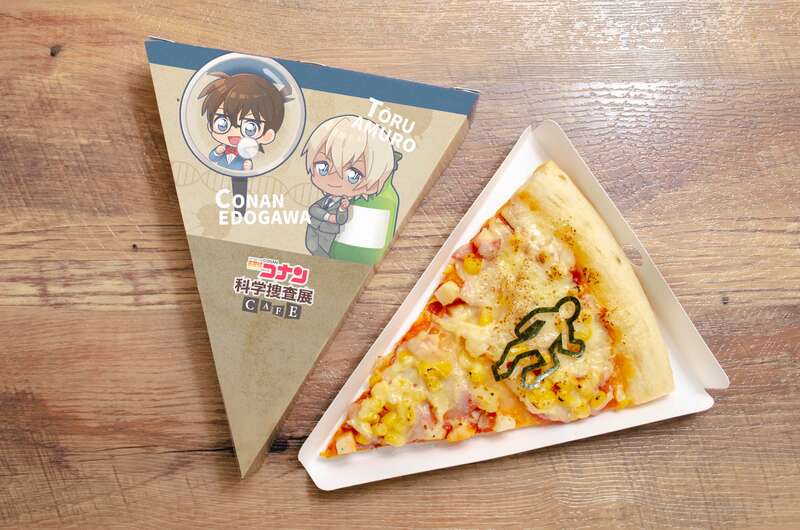 As part of the ongoing Detective Conan Scientific Investigation event being held at Hirakata Park Event Hall in Osaka, it has been announced that a themed café will open from March 9 to May 26 serving a range of Conan themed food and drinks. 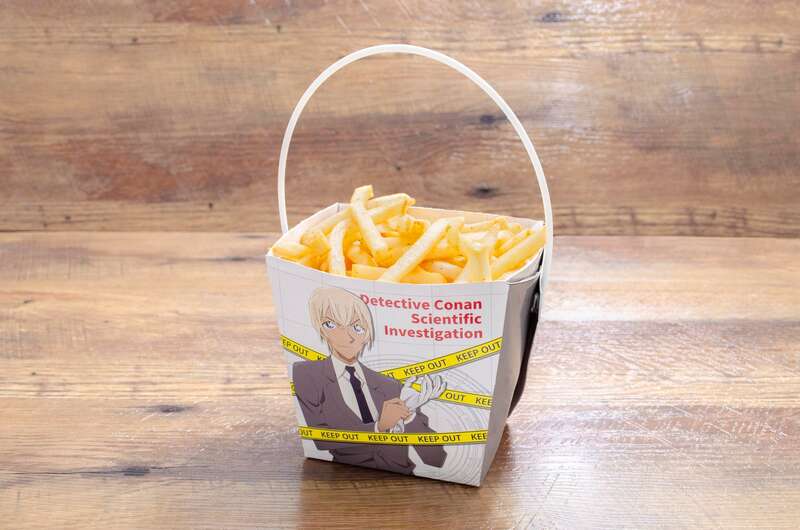 Serve in café-original boxes featuring art of Conan and Amuro, these potato fries are covered in a smoked bacon flavour. 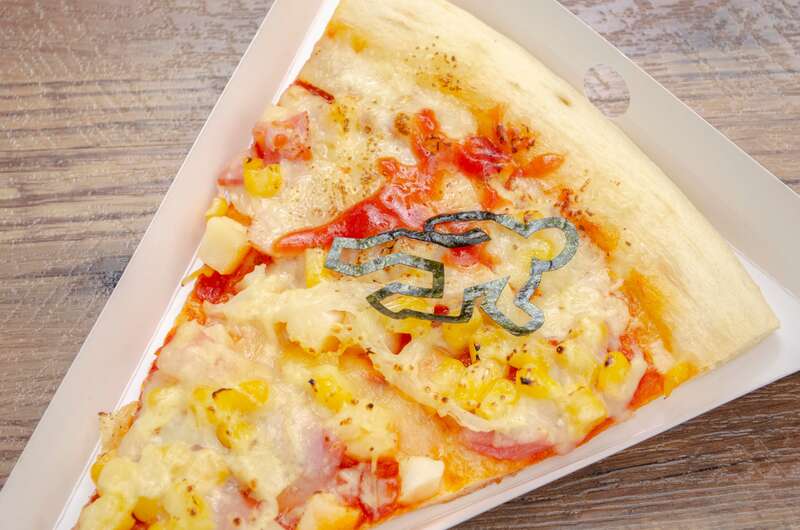 This mayo and corn pizza is made in the image of a crime scene with a victim’s silhouette cut from seaweed. 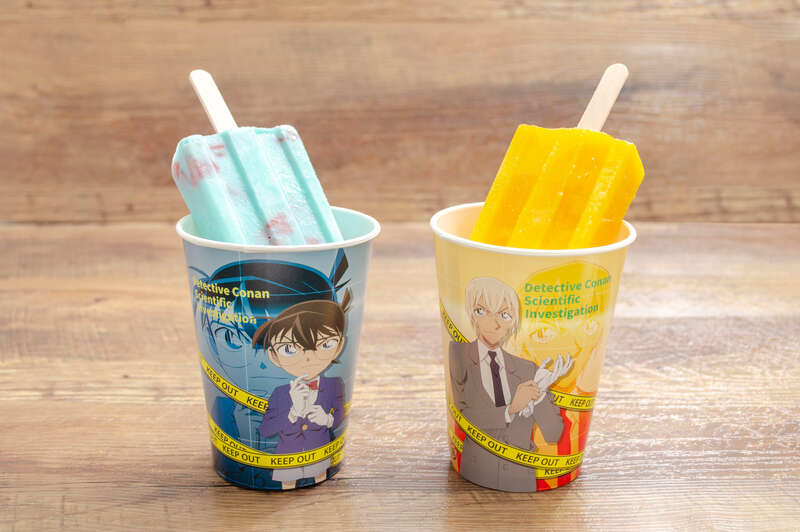 The Conan version is milk flavoured and contains pieces of strawberry while the Amuro version is mango flavoured and contains pieces of yellow peach. 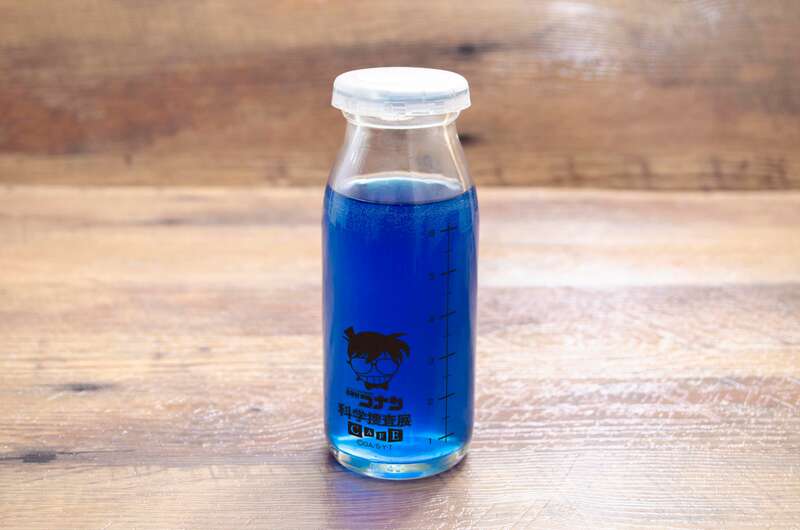 Each of these drinks are served in vials bearing illustrations of Conan, Amuro and Haibara. 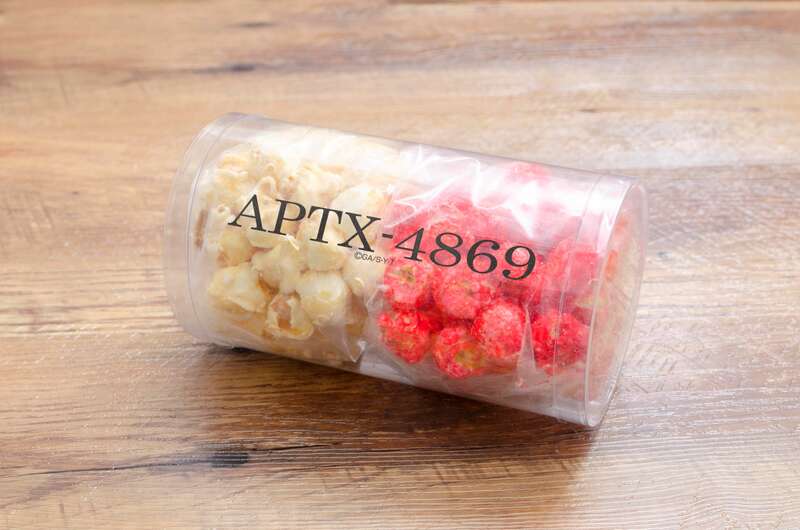 Contains white chocolate popcorn and strawberry popcorn and comes in a casing inspired by the APTX 4869 poison from the series. 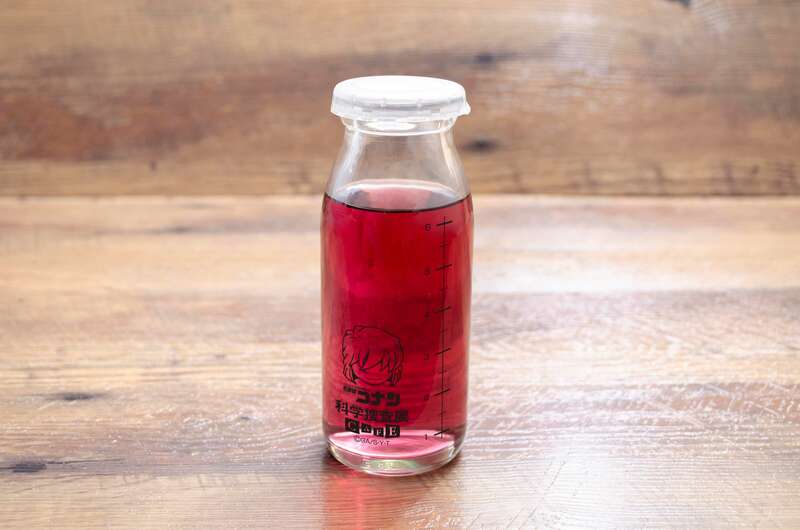 This menu line-up is exclusive to the café. 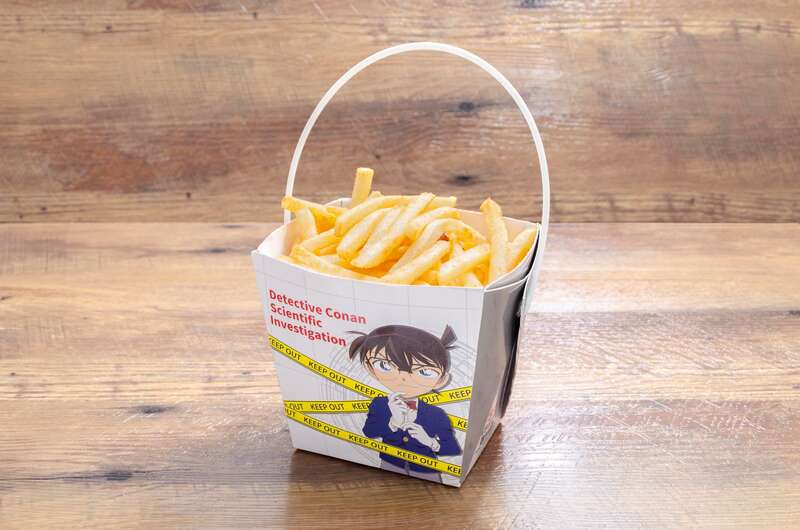 Each item ordered on the menu will get you one of 11 possible coasters featuring superdeformed illustrations of the Detective Conan character cast. 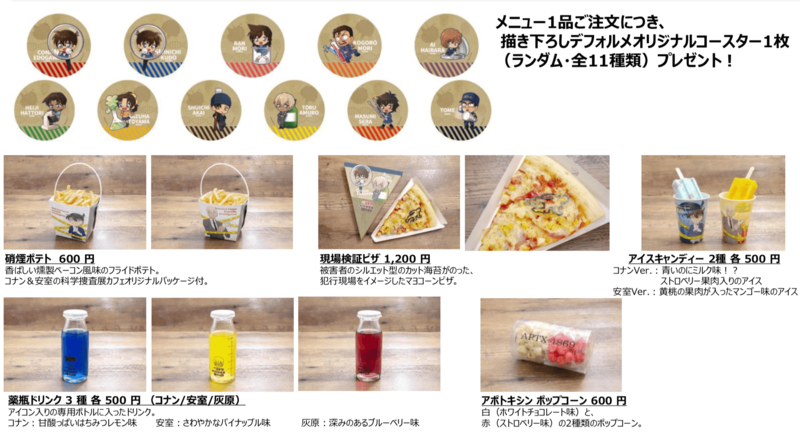 Conan and Amuro are also set to make an appearance at the café on March 14―White Day in Japan―so fans of the series mustn’t miss out. 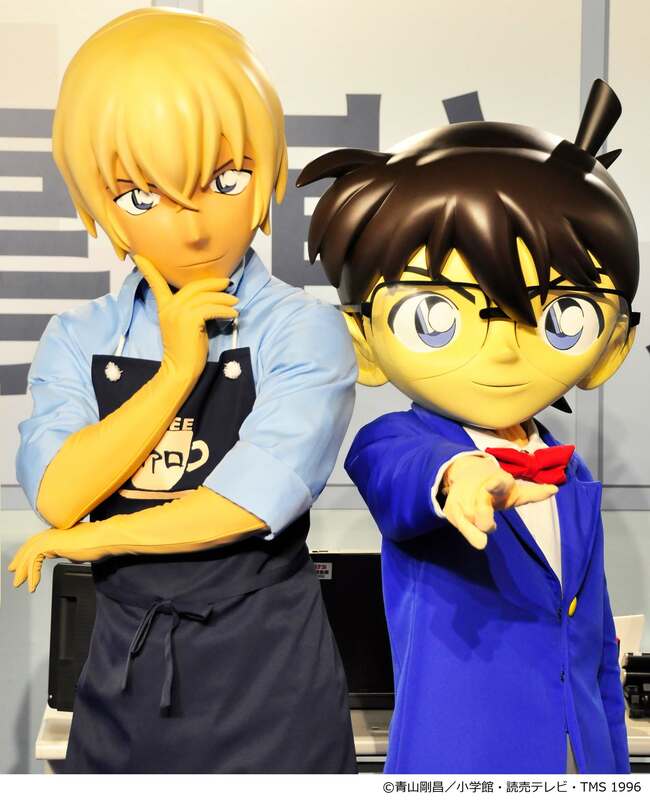 Don’t forget to check out Detective Conan Cafe 2019 either which is running to promote the upcoming film Detective Conan: The Fist of Blue Sapphire coming on April 12, 2019. 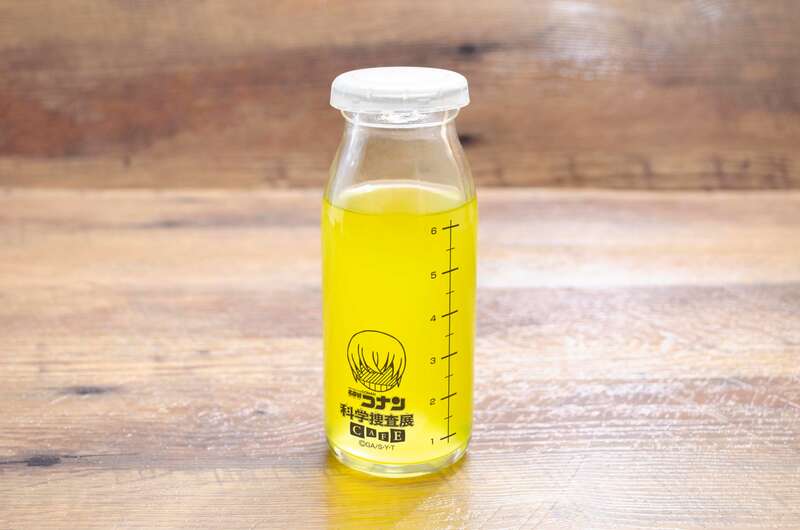 *A ticket to the event is required to use the café.